With temperatures hitting record highs this summer, you might be finding that your current air conditioning system is struggling to keep your home at a comfortable temperature. Before you install an expensive replacement, it’s wise to ensure that you’re making the most out of what you have. Air conditioners always work best in a sealed environment. That means no drafts coming from windows, doors, or anywhere else in your house. 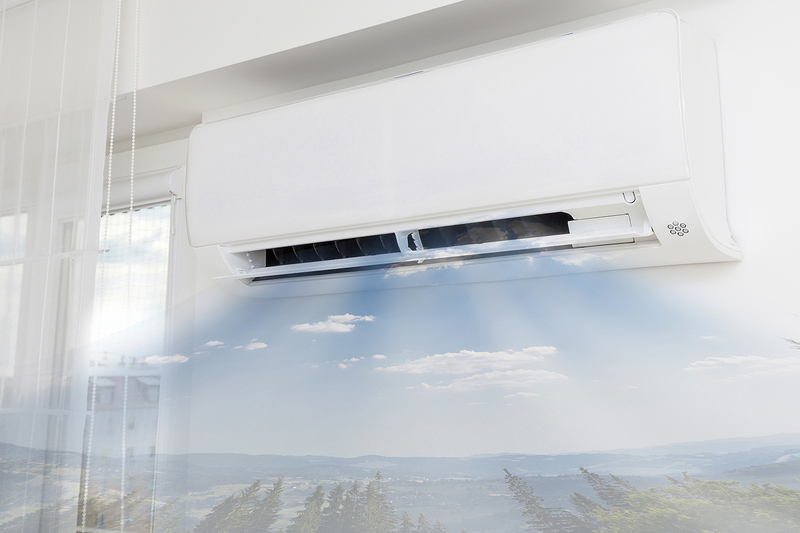 If you’re installing a window-mounted AC unit, make sure to thoroughly seal off any air gaps. Other common spots for air leaks are in attics, under floors, and around pipes, so it’s a good idea to check these over, as well. Keep the blinds drawn when running the AC. Investing in heavy blackout curtains will provide even more insulation for your windows and keep the hot sun from turning your place into a greenhouse. Closing the doors to other rooms of the house will help the air conditioner run more efficiently, as well. Your air conditioner will be more effective if it isn’t running at maximum capacity all the time. A good rule of thumb is to set the thermostat to the highest temperature you can handle while you’re at home, and to set it even higher while you’re away. You may even want to upgrade to a smart thermostat that you can control the temperature from a cellphone app—ensuring that your house is cool by the time you return home. Air conditioner filters should be replaced every few months and cleaned regularly in between. Fans and dehumidifier benefit from regular cleaning as well, as any dust buildup will make them less efficient and therefore more costly to run. This is especially important if you live with pets whose hair can clog up vents—your vacuum cleaner can prove a very useful tool for this task. Adding fans to the mix is a great way to get more out of your AC, with minimal effect on your power bill. One US study showed that a ceiling fan can lower room temperature by 10°F (5.56°C), using much less electricity than central air does.